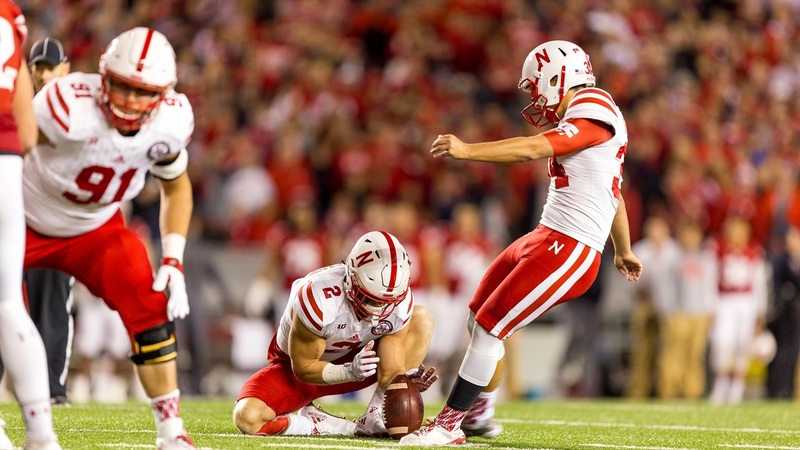 Mailbag: Which Huskers are Sneaky Good at Other Sports? It's Oregon week and Nebraska is preparing for a fight in Eugene on Saturday. You asked questions about the Huskers. Brandon Vogel, Greg Smith, Mike Babcock, Jacob Padilla and Derek Peterson took a shot at answering them. BV: I don’t know, a coach who says things like this – “There’s a solution for every scheme. But there is no easy way to defeat a humble mentality grounded in self-discipline.” – is kind of speaking my language. MB: Interesting question. And I know I’m being a bit heretical here, but Kansas State is a pretty solid standard. I’m talking in generalities here because I haven’t paid much attention to this season’s Wildcats, only that they walloped Central Arkansas (a fairly typical overmatched non-conference opponent it seems). But Bill Snyder has done a great job of building a program to compete in the Big 12. I’d like to think Nebraska would’ve been similarly competitive if it were still in the Big 12. DP: Agree with Mike here. Coming from Big 12 country and having watched Kansas State, they’re a team who, year after year, people hate to play. It’s a pain to recruit to because it’s Kansas State but Bill Snyder is a helluva coach. Also need to remember Kansas State was 6-7 two years ago. Give it time. Nebraska has better athletes currently on the roster and more of an ability to attract those athletes than Kansas State does. GS: It was extremely vanilla. Not only did Nebraska not blitz much or have a lot of movement up front, but the Huskers also played 90% (rough estimate) base defense no matter what look Arkansas State gave. I guess the rationale is holding back for Oregon but I’ve never liked that strategy. Nebraska is not far enough along as a program to be using that strategy in my opinion. MB: Not a fan of holding back, particularly when it was apparent Arkansas State was going to give the Huskers a go. From what offensive linemen in particular said the defense was doing in the spring and during fall camp, it seemed to me there’s a lot more to see from the defense, as most folks left the Arkansas State game thinking. JP: Donte Williams claims they didn’t “hold anything back”, per se, but they weren’t quite sure what to expect form the Red Wolves and therefor I don’t think they necessarily game-planned super-specifically for Arkansas State. That being said, I don’t think Williams was 100 percent honest there. Like Greg said, they were in their base personnel for about 90 percent of the game and we didn’t see a whole lot of blitzes or stunts. I do think we’ll see more from the defense this week simply because I think Oregon is going to stress Nebraska more and force them to get creative rather than surviving with a prevent defense. MB: My guess is no they wouldn’t be, mostly because you expect some blips in the opener, particularly if the question of being vanilla on defense has been answered correctly. That’s among the joys of sports. “If” can often change the outcome or perception. JP: People might still be complaining about Arkansas State putting up a bunch of yards and 36 points (even though nine of those weren’t on the defense), but I do think fans would feel at least a little bit better. The amount of yardage they gave up plus the fact that Nebraska trailed multiple times plus the Red Wolves coming within one play of sending the game to overtime all came together to produce the frustration we’ve seen among the fans. DP: Great question. Short answer: no. If the Huskers had even converted that third-and-five towards the end of the fourth I think we’d be having an entirely different conversation. I wholeheartedly believe Nebraska let up a bit on that last touchdown drive from the Red Wolves, thinking the game was all but over and not expecting them to get the onside kick. Is that a problem? Sure, finish the game. But I think that’s what happened. If it hadn’t, you’re right, the “freak out” wouldn’t have happened to the extent we saw it. GS: No. I was looking forward to this game though to get a feel for how good Arkansas State is. This is much more about not being able to get back to Miami after the game due to Irma. MB: Greg’s right. No excuses there. Has to be done for all concerned. I’m also disappointed. It would’ve been interesting to see how Arkansas State played. JP: Other Florida schools moved games up and around to still get them played, but rather than trying to jump through several hoops Miami just decided that their players being with their families was more important than trying to play a game. I believe Arkansas State is disappointed, and with good reason, but Miami’s decision is certainly understandable. GS: You are correct that when looking at the numbers, it seems like the line did well based on sack numbers and Tre Bryant’s 192 yards on the ground. I am a bit concerned with the right side of the line allowing free rushers on what seems like miscommunications. It’s not something you expect from players with many starts under their belts. MB: Good observation. The one sack was on the running back not picking up the defender he was supposed to pick up. I think Wilbon was the one who missed the block. I’d say the same thing I said going into the game, the offensive line is still a work in progress despite the experience. It’ll get better, as communication improves (Greg’s point). And as Riley said early on, the scheme has to include ways to “protect” the line as well. DP: Great question. The staff was pretty concerned, at least from what I’ve been told. Danny Langsdorf was not pleased with the protection at times during the game, neither was Mike Riley. Langsdorf said it was a lot of self-inflicted issues though, and things they can and hope to clean up. Chalk it up to the aggressive front from Arkansas State and it being the first game, I guess, until Oregon proves it to be a legitimate issue. JP: I thought the protection looked especially shaky early on, but it improved as the game went along and the big guys settled in. I think the left side of that line is really strong for the most part and Mike Cavanaugh backed that up by saying Nick Gates was the highest-greased lineman and that Jerald Foster was right there with him. The right side has a bit more to prove in my eyes. I’d probably grade the line as B- overall in week one – got the job done but had plenty of room for improvement. BV: If you recall from last fall, punter Caleb Lightbourn is a Rubik’s cube wiz. Kicker Drew Brown was a high-level baseball player (more coming on that in a future story in the magazine). David Knevel is Canadian. That’s all I’ve got off the top of my head. DP: Since you asked (and Brandon brought it up), I'll tease a big project I've been working on. Drew Brown could have been very successful playing baseball if he had chosen that route. Like division one baseball.